Join the RMT Credit Union today! Run for members, by members; A democratically run, member-owned co-operative aiming to provide a quality Credit Union service. What do we want in the London Underground pay claim for 2019? 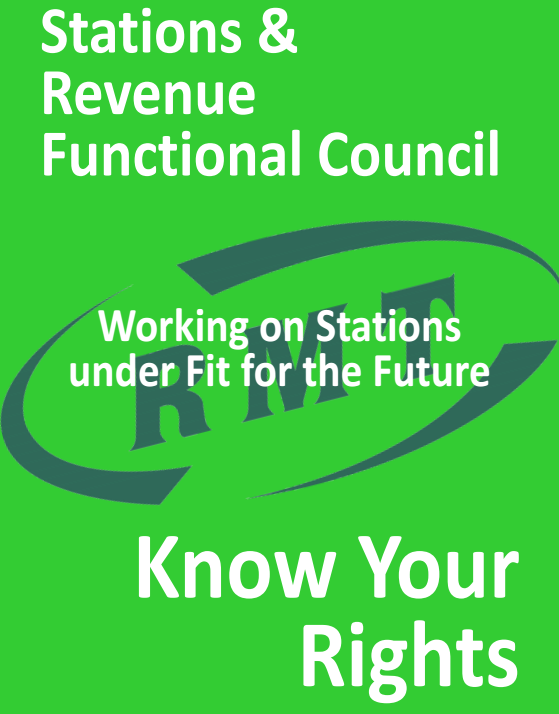 All station workers should read the Fit for the Future: Your Rights guide. Know your workplace rights on the Tube. Check out our regional, grade specific and branch newsletters produced by RMT activists in the London Transport Region. Please note, that the Neasden Branch will be nominating their choice for General Secretary at the next Branch Meeting on Wednesday 15th May 2019. If you wish to vote, please make sure you attend the meeting.